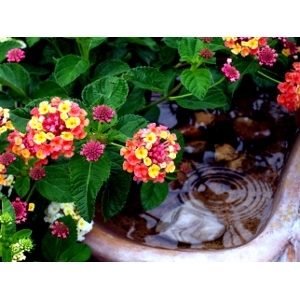 The most cold hardy Lantana known - established clumps have survived 0°F. Excellent for mass & hillside plantings, and patio containers. Showy orange & pink flowers cycle during warm season. Deciduous in areas falling below freezing.